Yogyakarta – Friday, November 30th 2018 located on the 6th Floor, Djarum Foundation Hall, Pertamina Tower Building, Master of Science and Doctoral Program, Faculty of Economics and Business, Universitas Gadjah Mada (MD FEB-UGM) in collaboration with the Program to Extend Scholarships and Training to Achieve Sustainable Impacts (USAID-PRESTASI) held a morning seminar. Seminar with the theme: Oil Price Shock, Government Intervention, and the Optimal Monetary Policy in a Small Open Economy. The speaker at the morning seminar was Sekar Utami Setiastuti, M.Sc., Ph.D and moderated by Gumilang Aryo Sahadewo, M.A., Ph.D. Sekar Utami Setiastuti, M.Sc., Ph.D has just finished his doctoral studies at North Carolina State University and is a lecturer at FEB UGM and also a recipient of USAID-PRESTASI. The seminar was opened directly by Nurul Indarti, Sivilokonom., Cand. Merc., Ph.D as the director of the MD FEB UGM program. 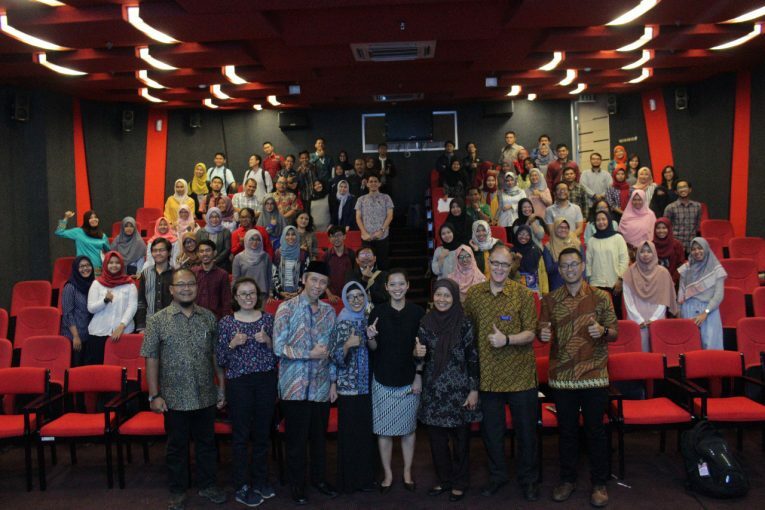 The seminar was also attended by delegates from USAID-PRESTASI and several lecturers of FEB UGM. Sekar Utami Setiastuti, M.Sc., Ph.D discusses the macroeconomic impacts of government intervention in the domestic fuel market and estimates the level of interventions that maximize welfare. By trying to introduce the Keynesian Dynamic Stochastic General Equilibrium (NK-DSGE) model into the Indonesian economy, Sekar Utami Setiastuti, M.Sc., Ph.D managed to find that at a very high level of government intervention it could produce contractions in output, consumption and investment for world oil price shocks. Also, it was found that the level of government intervention was quite high based on welfare analysis.